Brackett's Landing Park is right next to the ferry terminal and offers views of Puget Sound and the Olympic Mountains. Why go: This waterfront ferry port stop is just 18 miles north of Seattle but offers plenty of small town charm. Daily sighting: The steady back-and-forth sailings of the ferries, from sunrise to after dark. Street scene: Hanging baskets of geraniums and begonias brighten up downtown, filled with indie shops and alfresco cafes. Our favorite: (117 Fifth Ave. S.) for lattes and savory crêpes. Ditch the car: Edmonds is highly strollable. Meet the farmers: They come from all over Washington to sell ripe berries, stone fruit, and farm-fresh eggs (9–3 Sat starting Jul 3; Fifth Ave. N. at Bell St.; 206/412-4630). Local hero: European-travel guru Rick Steves. Beach reads: Talk up your tastes at (111 Fifth Ave. S.) for a spot-on recommendation. Quite a show: Get a close-up view of Fourth of July fireworks from the grass at Civic Stadium (free; Sixth Ave. N. at Bell). Impressive enough for city slickers, it’s still refreshingly uncrowded. Summer brings out the all-American spirit in this small waterfront ferry port town. Grab some gourmet picnic grub and head to the beach, or hop a ferry for a scenic tour of the nearby Kitsap Peninsula. Kick back on a driftwood log at Brackett’s Landing Park and take in Puget Sound and the Olympic Mountains—then pull off your shoes and explore at low tide, when crabs scuttle beneath rocks, and brilliant purple and orange seastars cling to pilings. Pick up buckets, shovels, and lots of other fun stuff at Teri’s Toybox (420 Main St.; 425/774-3190). Forget the sunscreen? Next door is upscale (422 Main), which sells little luxuries like Mustela skin-care products and Kissy Kissy infant outfits. Treat yourself to a stop in Nama’s Candy Store, where jars of modern and retro-style sweets line the walls. But if you want to really wow ’em, hit nearby Nama’s Candy Store (102½ Fifth Ave. N.; 425/771-4606), crammed with big glass jars filled with both modern and retro-style sweets like licorice coins and Mary Janes. The (closed Jul 4; 405 Main St.) is the spot for assembling a picnic of local cheeses, crackers, pickles, and charcuterie. Or sip summertime white-wine flights and snack on sophisticated small plates like bruschetta with salami, tomatoes, basil, and fresh mozzarella on ciabatta at Olives Café & Wine Bar ($$; closed Sun; 107 Fifth Ave. N., Ste. 103; 425/771-5757). Be sure to hit Friday night happy hour (4–6) for the special menu with items like truffled mac ’n’ cheese for $2.95. 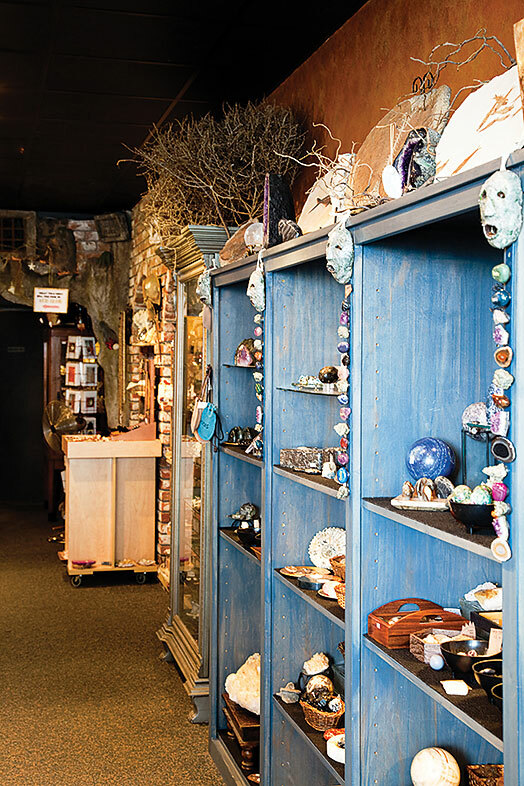 The Wishing Stone sells seashells­—along with other beach-inspired souvenirs—by the seashore in Edmonds. Bring back a bit of the beach—no, not from Brackett’s Landing or the underwater park, which is a marine sanctuary (strictly hands-off)—but from the (317 Main St.), which sells shells, gems, and fossils more striking than any you might find on the shore anyway. Hop a ferry from Edmonds over to Kingston for a scenic tour of the Kitsap Peninsula town. With ferries running all day over to Kingston, Edmonds is an ideal jumping-off point for quick, scenic trips. For a joyride: The queue for cars stretches for hours on summer weekends, but for an easy escape, ditch your wheels and stroll right onboard for an hour’s round-trip cruise (walk-on $6.90) across to Kingston. Bring a sweater to enjoy the fresh air on deck. For a lighthouse tour: Just 10 miles from the Kingston ferry terminal is Hansville’s historic , where you can watch waves and prancing shorebirds, and take a peek inside the 19th-century building. For an overnight adventure, rent the lighthouse keeper’s home. Noon–4 Sat–Sun; rental $195, two-night minimum.